What is a Counter Rotating Brush and How Does It Clean My Carpets Better? A counter rotating brush or CRB machines are the most efficient and professional way to clean carpets properly. If you are considering having your carpets cleaned, a CRB machine is likely the best choice whether you are having the cleaning done in your home, office, or other buildings. CRB machines are simple in design and concept, but when using the rotating brushes, they are sturdy and proficient. Here are some ways to better clean the carpet with the counter rotating brush. Compared to traditional methods of carpet cleaning, counter rotating brushes allow for deeper cleaning. With a professional service, CRB machines remove hair, dirt, debris, and other particles that regular vacuums and wands cannot get out. Most CRB machines consist of two brushes rotating counterclockwise together. These two brushes work next to each other and traps the absorb dirt deep between the carpet fibers. With a CRB machine, you get an overall high-quality carpet clean and the drying time is faster. CRB machines are more efficient because they use 98% less water than traditional carpet cleaning systems. This allows CRB machines to be convenient because they do not require water to be dumped out during cleaning. Cleaning systems that rely heavily on water take longer to clean and prolong the drying process. For a quicker drying time, there is a less chance of carpet fibers, resorbing dirt and debris, floating in the air. Counter rotating brushes come in a variety of sizes, so you or your carpet cleaning professional can decide which sized brushes will work best with your carpet. Most brushes are usually 10”, 15”, or 20”. The design of the CRB machine is simple in the way that the counter rotating brushes lift the pile of dirt from your carpet and push the pile into the holding chambers, which leaves a smooth passageway for the wand to rinse. CRB machines are portable and easy to handle and they are used on almost all carpets and on any floor level. All in all, if you are looking to have your carpets cleaned, CRB machines are the best cleaning systems. Although you can purchase a CRB machine of your own, it is recommended to hire a professional carpet cleaning service to operate the device. 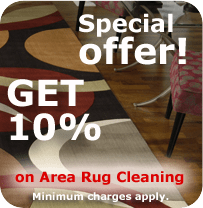 By hiring a professional carpet cleaning service, you will save time and money and receive a more thorough clean. Contact your local carpet cleaning service or Legacy Carpet for more information on counter rotating brushes.